Norwegian Cruise Line’s president Andy Stuart celebrated 30 years with the line this summer. The cruise chief tells Tom Parry about his humble beginnings, how the line will ‘evolve’ with its Leonardo-class and why Premium All Inclusive is here to stay. From Marty McFly’s DeLorean to Knight Rider’s talking car, Kitt – the 1980s had its fair share of iconic motors. For Norwegian Cruise Line president and chief executive Andy Stuart, it was a more modest set of wheels that shifted his career into top gear. “They gave me a white Ford Sierra estate and I went off all over the place,” Stuart smiles, recalling joining the cruise line’s growing UK business in August 1988 as a sales executive. It was the year CDs outsold vinyl records for first time. Cruise, on the other hand, wasn’t outselling anything. NCL’s UK office had a mere 13 staff – compared to the now 200-strong team of parent company Norwegian Cruise Line Holdings in Southampton – and the line was catering for just 1,300 passengers a year. “We [the UK office] were not high on anybody’s agenda at Norwegian’s headquarters,” Stuart recalls with a smile. “It was a very small business. It was down to Stuart, his wheels and a presentation delivered on a carousel slide projector – a device he jibes I’ve “probably never heard of” – to raise awareness of the company. Stuart climbed the ranks to manage the UK office’s sales and marketing until 1996. He moved to NCL’s US headquarters in 1997 as vice-president of sales planning, then after a series of promotions was named president and chief executive in 2015. Despite being one of the cruise sector’s best-known leaders, Stuart is lighthearted and open during the interview in the boardroom of a London hotel. 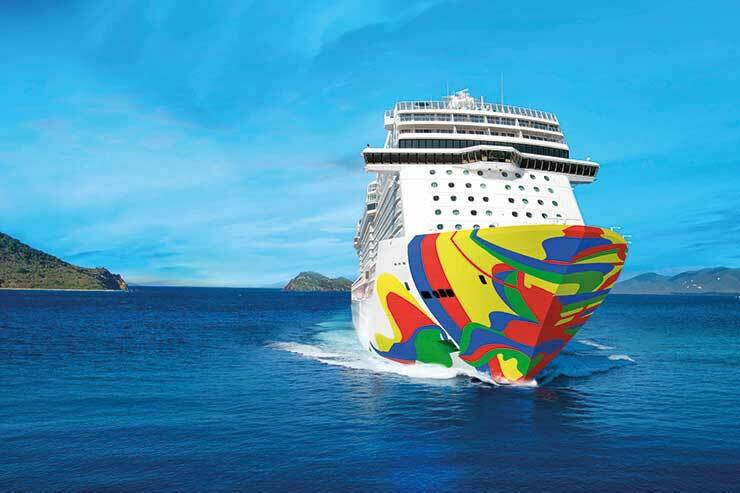 Recollections of his early perceptions of the cruise industry – prior to joining NCL – as “transatlantic crossings carrying older, blue-haired ladies looking for a second husband”, are worlds away from Stuart’s current outlook, as we discuss NCL’s upcoming ships. 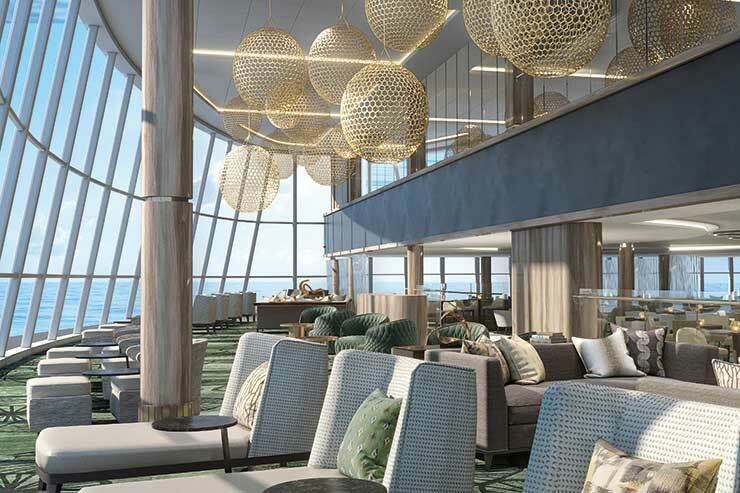 The vessels in question will include Norwegian Encore, the last of NCL’s Breakaway Plus class, despite Norwegian Bliss, which launched in April, being lauded as the line’s best-received ship during Stuart’s three decades. “We have to keep progressing”, he insists. The line is now preparing to receive its Leonardo series of six smaller 3,300-passenger vessels, the first coming into service in 2022. Leonardo, Stuart reveals, is likely to be bookable from the summer of 2020, although he is reluctant to divulge its standout attractions just yet. “There will always be things that we put on a new class of ship that you haven’t seen before,” he teases, adding that “Leonardo won’t be a total revolution” compared with NCL’s current mould. Where the ship will “evolve”, though, is in its use of space and in looking to “incorporate the ocean to an even greater extent” than Breakaway Plus did. “Everyone’s looking inward, but we really want ships to look out,” Stuart muses. “If you go to a town on the water, the first thing you do is go to a restaurant where you can sit on the water – on a lot of ships you can’t do that. The introduction of the Leonardo series will also herald the retirement of some of NCL’s older ships carrying 2,000-2,400 passengers. “We’ve been building recently in the 4,000 [-passenger] range, so Leonardo sits between the two and gives us more flexibility for deployment. We won’t keep all of our ships for ever, and at some point we have to retire the older series as Leonardo ships enter the fleet,” Stuart predicts. Evolution will take place onboard too. NCL’s new vessels will spearhead the line’s foray into the fast-moving world of guest technology, with Stuart revealing NCL is currently developing its own wearable device (as revealed in TTG’s November 1 edition). A phased rollout of its planned “Cruise Freedom” platform will take place this year, with as-yet-unknown “preliminary elements” launching on Bliss and then Encore in the autumn of 2019. “You could do [what we are planning] with a phone but we don’t want to force everybody to carry that around, so it will likely involve a wearable,” he says. I put to Stuart that another aspect of the UK market in which NCL has innovated is the introduction of its Premium All Inclusive fare last April – a move which preceded similar all-inclusive moves from Marella Cruises and Saga. Although not a line to “look over our shoulder at the other guys”, Stuart admits his rivals’ strategies “prove customers like what we are doing”. It seems the trade is getting onboard too, with the line claiming UK agents have seen “double-digit” commission growth since the new pricing structure’s introduction – driven by elements of Premium All Inclusive such as gratuities, bottled water and speciality drinks. “Those things weren’t commissioned in the UK 18 months ago – agents are looking at their bottom line and at the return from selling Norwegian, and are much more excited to sell us today than they were. We are a more profitable brand for them to sell,” he enthuses. And Stuart has plenty of empathy with the UK trade as, despite being based in the US, he still feels “very British at heart”. His first stop after landing in London ahead of lunch and a panel discussion for agents, was the pub for pie and chips and the Premier League match between Crystal Palace and his beloved Arsenal on the TV. While he clearly has his feet on the ground, I ask Stuart what his proudest achievement has been during his long tenure. “Surviving”, he grins, before giving a more considered response: “Probably where the brand is at today. It’s a standout and I really believe we’re leading the contemporary segment – and I wouldn’t say the brand has always been there. So I think where we are today is a pretty exciting place. Where next then for NCL? Stuart is coy, but clearly itching to reveal more. “We cut the steel of the first Leonardo [class ship] next May, so somewhere between that and going on sale, we’ll start telling the story of the ship and you can harass me all you like,” he smiles. Even after all this time, Stuart loves telling the story of NCL. I imagine, though, he’s driving a different set of wheels than that trusty old Ford Sierra.